Do something today that your future self will thank you for! Sound like a good idea? 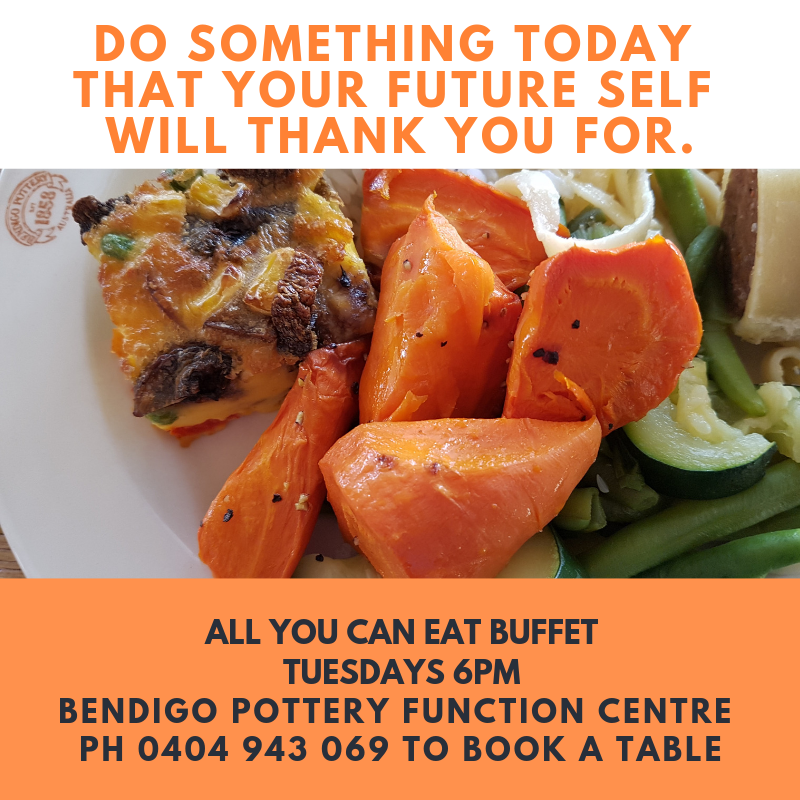 Well if you book a table on Tuesday at the All you can eat Buffet, your future self can say thank you for many things. No cooking, No dishes, no one complaining. And best of all great value at $22 for Adults, $11 for kids 7 to 13 and kids 6 and under eat free! At the All you can eat Buffet we cater for everyone. Meat eaters, Vegetarians, Salad Crunchers, Dessert lovers, everyone. Come along, eat whatever you fancy and go home to relax! Chef has even hinted that he may even be making his scrumptious Lasagne this week! Call us on 0404 943 069 to book a table.